New C Series loader backhoes with Tier 4 Final certified engines deliver the power and torque needed so you can dig, load, trench or push faster, while reducing the impact on the environment. The B95C TC features an advanced loader design with true mechanical self leveling for material handling work. With extreme lifting, digging and breakout forces at either end, New Holland C Series loader backhoes save you time whether you’re lifting, trenching, loading or pushing. 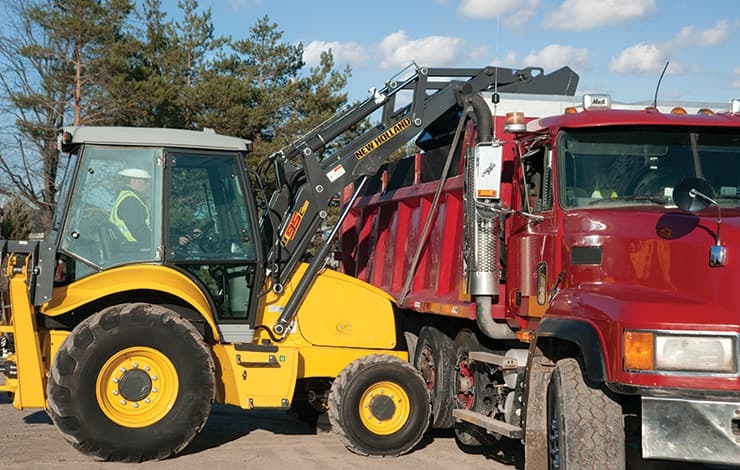 Superior dump reach enables operators to dump material into the truck center for faster loading and increased payloads. • Backhoe bucket digging force up to 12,969 lbs. • Loader breakout force up to 14,712 lbs. The spacious six-post cab features floor-to-ceiling windows for outstanding visibility, built-in comfort features to reduce operator fatigue and available pilot controls for added convenience. New Holland C Series loader backhoes comply with the extremely strict Tier 4 Final regulations, dramatically cutting emissions levels. 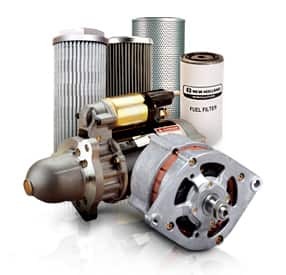 The SCR (Selective Catalytic Reduction) solution lets the engine run at peak performance for maximum power. It’s simple, too – just top off the DEF (Diesel Exhaust Fluid) when refueling. Ultra-narrow backhoe boom gives you enhanced visibility to the trench, and fully adjustable joystick controls give you ultimate convenience. Using the curved boom design of big excavators, the backhoe gives you big digging performance. With in-line cylinders, effort is reduced, visibility is better and the general digging performance is enhanced. Dual swing cylinders provide smooth movement for faster positioning of the arm over the trench and increases the stability of the machine. The B95C TC combines the powerful backhoe of the B95C with an advanced curved-boom loader with true mechanical self-leveling both up and down— perfect for working with pallet forks. The standard quick coupler makes switching from bucket to forks a breeze.